A Mets season that was filled with many ups and downs ended on its lowest note as Madison Bumgarner shut down the Mets in the NL Wild Card game at Citi Field. On paper, when healthy, the Mets still have a very good team entering 2017 but if they want to win their first World Series since 1986, or even take the National League East back from Washington, they’re going to have to make some quality decisions. The Mets payroll entered 2016 at around $135 million, its highest since 2011. After acquiring Jay Bruce at the trade deadline, the Mets payroll is in the $140M range now. It’s highly unlikely the club will be able to go much higher than that. Having said that, $140M is a far cry from what the payroll was a few short seasons ago under $85M. The Mets payroll should be in the 6-10 range in baseball which should be enough to support what the Mets are trying to do. With huge raises in arbitration coming for some key Mets, plus Neil Walker accepting the qualifying offer at $17.2M the Mets aren’t going to be able to add much new money so they’re going to have to get creative. Here are the annual MLB Trade Rumors arbitration projections for the Mets. Rene Rivera is likely a non-tender guy (who could be brought back at a smaller salary) but the rest of these players will be here, barring a trade. The Mets need to improve their offense and maybe address the bullpen as Jeurys Familia is probably looking at a lengthy suspension for an alleged domestic violence incident. 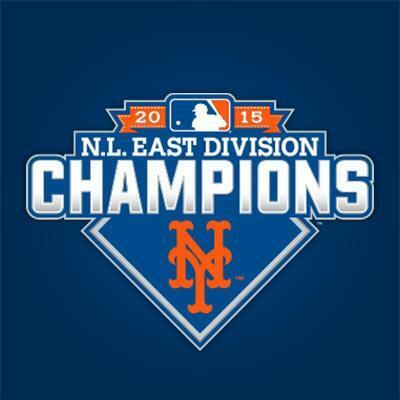 Sandy Alderson and his front office have their work cut out for them but the correct moves can bring Queens a title. Here is what they should do. Yoenis Cespedes has been a very polarizing figure since arriving in New York at the 2015 trade deadline but make no mistake about it, the Mets are a completely different team when the Cuban slugger is healthy. When Cespedes did not play in 2016, the Mets had a 13-17 record. He’s a complete game changer, especially as a left fielder. He really struggled range-wise in center field and the amount of running required for that position was taxing on his legs. Keeping him in left field will make the Mets defense better and give Cespedes a better chance of staying healthy. I think at the end of the day Cespedes would return to the Mets on a 4 year deal worth a little over $100M with another opt-out involved in the contract. The Mets are a little concerned not over dollars with Cespedes but the length of any deal. It’s fair to wonder if Cespedes would give an all-out effort if he was not playing for a huge payday but #52 is definitely worth taking that risk. It’s hard to imagine the Mets finding the funds to sign Cespedes and CF Dexter Fowler but the speedy outfielder is the perfect fit. Fowler would give the Mets an actual center fielder at spacious Citi Field instead of letting a corner guy like Michael Conforto, Curtis Granderson or Yoenis Cespedes patrol out there. Fowler is an on-base machine at the top of a lineup and really improved his defensive metrics this season thanks to playing deeper in the outfield. He is probably looking at a 4-year deal at around $15M a season but at just 30 years old he should be able to hold up health wise. Fowler just helped the starving Cubs fan base end a 108 year title drought so I don’t think the bright lights of New York City would be too much for him. With that said, if the Mets sign Fowler they would have to forfeit a draft pick. So how can the Mets afford Fowler and Cespedes you may be wondering? Both Jay Bruce and Curtis Granderson are in the final years of their contracts and in my opinion the Mets would be better off letting the two conclude their deals elsewhere. Both are lefty swinging corner outfielders who really don’t fit on the same team. It didn’t make much sense to bring Jay Bruce to Queens in the first place. Bruce not hitting for an entire summer in New York should have convinced everyone in the Met front office that they should move on from him, especially with better options available at similar salaries. The Blue Jays thought they had a deal for Bruce done last spring; perhaps they have interest in him again. Granderson’s strong finish to the year will probably be able to entice some team to take on the final year of his deal.While the Grandyman has been a good citizen and was huge in the Mets 2015 postseason run, he will be 36 before Opening Day and is a below average defender due to his declining range and poor arm. Clearing Bruce’s $13M and Granderson’s $15M would give the Mets enough money to sign both Cespedes and Fowler and perhaps pave the way to consistent playing time for Michael Conforto. Conforto could become one of the Mets best hitters if they just gave him the playing time he needs. Both Granderson and Bruce are older guys coming off mediocre years so it’s hard to imagine the Mets getting anything of value for either player but getting their contracts off the books would be huge for the Mets offseason. Getting these two out of the Mets lineup would allow the team’s outfield defense to improve tremendously along with preventing the club from being overly left-handed like they were in 2016. Often the most overlooked pitcher in the Mets brilliant 2016 bullpen, Jerry Blevins was terrific in his second season for the Mets and retaining him should be a priority for the Mets. With Familia facing a potential suspension the Mets need to find as many reliable arms as they can get their hands on and Blevins has proven in New York that he can get big outs. Terry Collins was able to push a mostly injured Met group to the playoffs but one of his huge weaknesses as a manager is overusing his best bullpen arms. If the Mets do not find more bullpen help Collins will overuse Addison Reed without a doubt. With big left-handed bats like Bryce Harper and Daniel Murphy with the Washington Nationals, the Mets could probably use a second Jerry Blevins, much less lose the one they already have. The offseason is a tricky time for baseball front offices. All teams enter the winter with holes they would like to address but budgets can cause teams to be unable to fill all of their concerns. The Mets would love to upgrade at catcher and possibly add some rotation insurance after they lost 4 of their 5 young stud starters to season-ending injuries but that is unlikely to happen. If the Mets are able to re-sign Cespedes and Blevins along with adding another key bat (preferably a center fielder) the Mets could be parading down the canyon of heroes next November. How should the Mets upgrade their team this winter? The Mets roller coaster 2015 season has now come to an end. 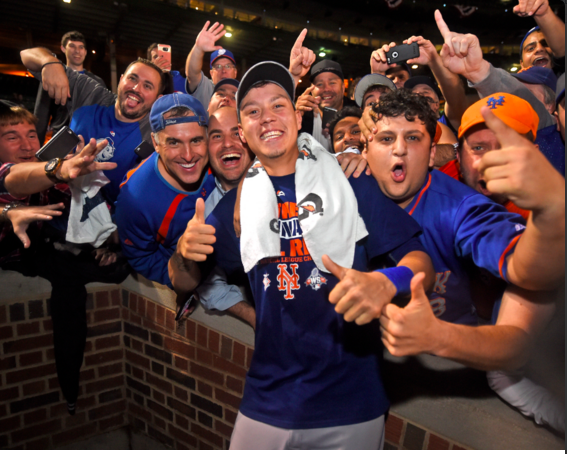 This may be the Mets most memorable year since 1986. A season that started with an early 11-game winning streak, followed with months of offensive ineptitude, a pair of sensational rookie starting pitchers finding their footing in the bigs, a trade that wasn’t, a trade that was, a strong summer overtaking the division favorite Nationals followed by a magical playoff run. The ride ended on a somber note Sunday when the Royals came back late in Game 5 to defeat the Mets and win the World Series 4 games to 1. It was a tough ending to a great season but the Mets have plenty to be proud of. The Mets hadn’t been over .500 in 6 straight seasons and somehow found themselves in the World Series. The weaknesses (infield defense, bullpen) we discussed last March somehow didn’t seem to impact the Mets much in the regular season or even in the first two rounds of the playoffs but New York was really exposed defensively by the Royals put the ball in play approach. The Royals were 7 of 7 stealing bases off Travis d’Arnaud in the World Series and key errors by Daniel Murphy, David Wright and Lucas Duda really seemed to open the door in three Royals wins. The Mets were simply a bad matchup with the Royals because of the Royals strengths but the World Series would still be going on if the Mets weren’t so sloppy defensively. Looking back on it, the Mets long layoff after the NLCS obviously didn’t help the Mets sleeping offense. 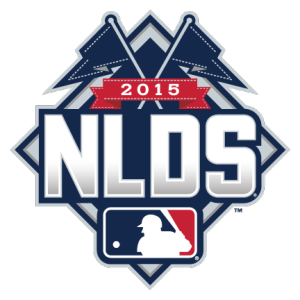 Despite all that this season is a major step forward for the New York Mets. Back in July we were all on “Terry Watch” waiting to see if Collins would be fired if the team continued to slump offensively. We wondered when Sandy Alderson would finally make a bold move to acquire a hitter. Three months later thanks to those bold moves the offense got hot and New York finally got to see what the Mets Big 4 pitchers could do on the big stage as the Mets won their 5th pennant in franchise history. The Mets Big 4 pitchers all are under club control for the next few seasons and the Amazin’s will get a full season of Michael Conforto next year so there is no reason to think Terry Collins’ club can’t make another World Series run next season. A lot depends on what Alderson and company do this winter but the Mets should be NL East favorites next season. With the added playoff revenue perhaps the Mets will be able to acquire a bat or two to replace Yoenis Cespedes and Daniel Murphy as they hit free agency.